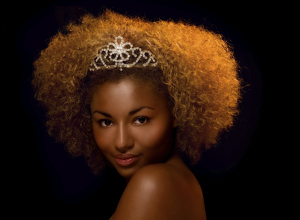 With all the royal wedding hype, what Black woman doesn’t want to be a princess or treated like a queen these days? Now that we have a Black duchess in the British royal family, shouldn’t we all want to be royal? Here are a few simple steps you can take to feel regal. 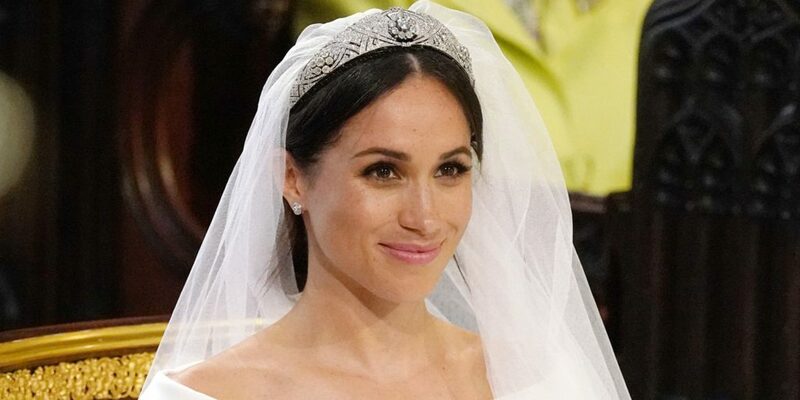 Apparently, people were shocked to see Meghan wearing Queen Mary’s diamond tiara bandeau. There were so many tiaras she could have gone with. But, you can get your inner princess on and wear your tiara when the occasion calls for it. Like International Tiara Day, May 24. Or, to your high school prom. Or, your wedding. But, if those days are over, don’t let the opportunity for your inner princess to shine pass you by. Tiaras are still de rigeur these days. Girls and women wear them on their birthdays and special occasions. 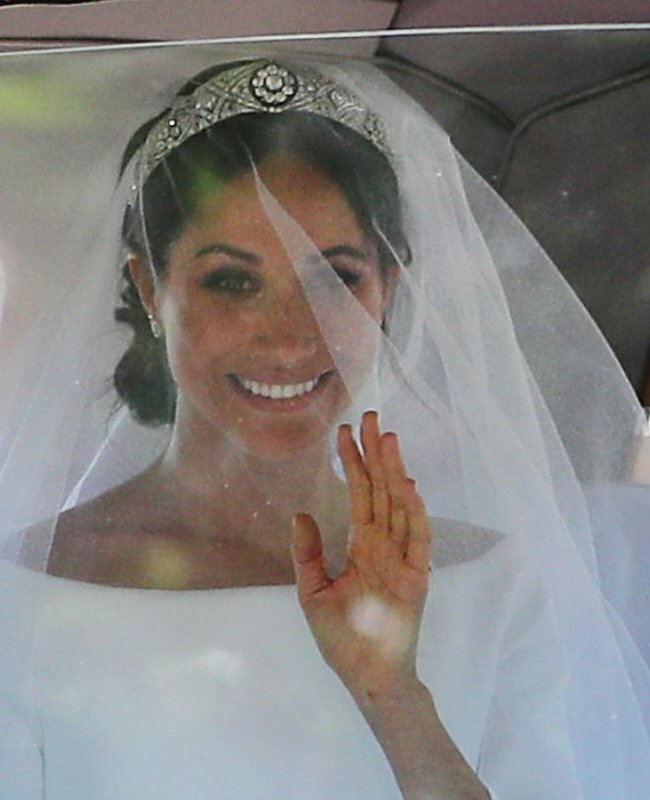 Feel royal like Meghan and wear a tiara for your special occasion. Get your own coat of arms – Now that the wedding is over, we are hearing nonstop about the coat of arms that is being designed for Meaghan. Why not get your own coat of arms? Click here and enter your last name and depending on your name you will find your family’s coat of arms (or the slave owning family’s coat of arms, but, hey – miscegenation is real…) If your family name doesn’t have a coat of arms, no worries. You can always petition the College of Arms for one. There are no fixed criteria of eligibility, so go for it. Get a diamond ring like Meghan’s – Don’t let the fact you’re already married or aren’t planning on getting married anytime soon get in your way. 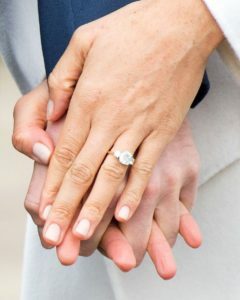 Buy a replica or inspired ring like the royal one and make it your “right-hand ring.” Brilliant Earth sells the authentic three-stone diamond ring style worn by Meghan or let’s you find similar ones. You can also find affordable imitations for under $20 on Amazon.com, or ebay, letting you enjoy the moment but not feel compelled to keep wearing an expensive diamond ring. 4. Handle chaos and controversy with poise and grace – Of course, the true mark of a royal woman is her ability to remain poised under pressure. Many people remarked on how well Meaghan handled the gossip and scandals – particularly around her family – that emerged after she became engaged to Prince Harry. There will always be haters and people who want to rain on your parade. When things go wrong and chaos reins, hold your head high like a queen and keep calm and carry on! For more on Black women royals read Madame Noire’s Meghan Markle isn’t alone: 9 Black women who married royals. Abortion Trends – Savita’s Revenge Or Remorse?